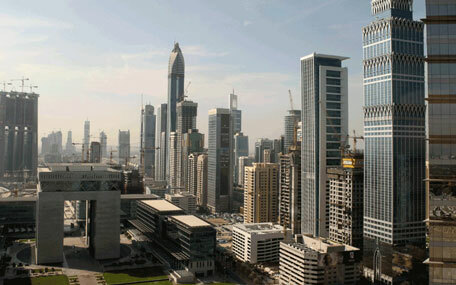 Do you plan to purchase in-development property in the UAE? If you do, it is essential for you to check and confirm that the developer has been registered with the Real Estate Regulatory Authority in the emirate. The Decrees of Properties, oblige a developer to register with the Real Estate Regulatory Agency as well as open an escrow account. He is supposed to deposit the money received from buyers into the escrow account of the project rather than in his own account. Ensuring this enables the buyer to effectively track the developer’s progress whilst being protected from fraud. If you’ve now realized that a property developer you bought from was not registered with RERA, file a real-estate case of fraud and breach of contract in the concerned court along with claims of compensation. The tenancy contract is binding on both parties and no one party may terminate it without the consent of the other unless otherwise provided by the contract. However, the security deposit is given to the landlord to deal with deliberate damages made by the tenant, and has to be returned if no damages are found. In case of breach of contract by tenant, parties should reach an amicable settlement on remaining period of contract while security deposit has to be returned to tenant, unless deliberate damage by tenant can be proved. This one specifically applies to business owners who might have hit a rough patch and wish to close rental contracts for buildings or warehouses in the UAE. The owner must send a notice to the landlord informing him that he is going to close the company due to financial problems and wishes to terminate the contract two months from the date of the notice. If the landlord refuses to settle, the case can be taken to court where the landlord may be forced to end the contract with up to two months of rent being paid as compensation from the business owner.